The following represents original notes prepared in 2005 after a review of Wittgenstein’s two main texts: the Tractatus Logico-Philosophicus and the Philosophical Investigations. These two texts are often described as the "earlier" and the "later" Wittgenstein ... or the Two Wittgensteins. Whilst the Tractatus express a more structural/formal account of the nature of language, the Philosophical Investigations is characterised by a more social/cultural description of language in use. However, I would like to acknowledge that both perspectives offer valuable insights into the nature of language. Whilst the later Wittgenstein may provide a more sophisticated perspective, this does not mean that we should quickly disregard the accomplishment of the earlier work in the Tractatus. language is developmental and acquired in practice in both form and deed (as represented in an educational or pedagogical position). Please review the following for what they are ... notes of a project that would - over time - become what it now is. We initiate language users into culture; into ways of being in the world --> into concepts, values, tools, identities and rules --> forecasts activities to which the language is useful. Languages evolve within communities of practice, which develop technical and conceptual discourse which are contingent on ways of living, knowing and believing. This language can be exclusive by being accessible to some and not others, and by conveying concepts which may understood by some but not all within the community. So, yes, whilst a language may be structural and logical, knowing the logic of the language is not enough to understand how language comes to be meaningful within a community of practitioners. That said, being proficient in language does require an understanding of the components and conventions of our messages, so we can be hopeful that our messages will convey the pictures that we so dearly want to portray. And true learning involves practice in seeing connections: "I notice this ... " or "I sense this ... " or "I experience this ... " . We poke and we prod to achieve results. To communicate this or to record this, the learner starts broadly by defining the experience and is compelled to find the words to convey the experience so that understanding or further knowledge can be gained. What - then - does Wittgenstein offer the teacher moving precariously through the modes of learning? 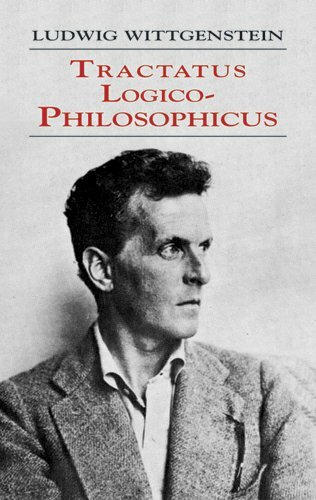 We must remember that at one stage Wittgenstein himself became a primary school teacher (though not a very successful one) in rural Austria between the writing of the Tractatus Logico-Philosophicus and the Philosophical Investigations. This experience may have played a role in accounting for the shift in his philosophy between his so-called early and later periods. Whilst his early period sought to identify the logical form of language which would permit meaning, the later Wittgenstein regularly explored how language is acquired through purposeful interaction with others. The later Wittgenstein was interested in the use of terms and forms in language, and how the forms of language and knowledge were made manifest in our form of life. Wittgenstein offers little advice on what to teach, but his discussion can provide some insights on how to teach. He advocates that content is organised by those with more expertise (e.g. teachers) who carefully provide experiences and arrange information so it is knowable. This is reinforced by the social, contextual circumstances to which that knowledge is relevant. 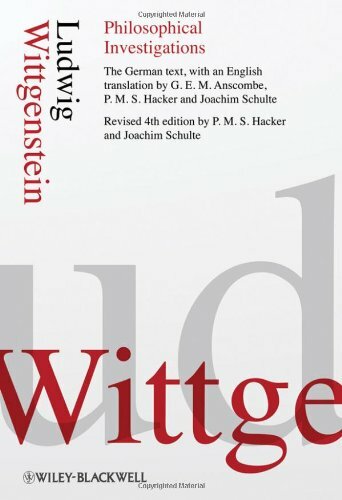 What can we gain by looking into Wittgenstein? Empathy with the learner? Wittgenstein rigorously questioned how meaning is constructed, and once constructed becomes assumed into ways of seeing. The Tractatus offers valuable insights into the structure of language and its capacity to express meaning. In many ways, the Tractatus starts with the notion that “the world is the case” and from there Wittgenstein attempts to explore whether our language can actually say anything about the world. It is through this dilemma that Wittgenstein proposes his picture theory which goes to say that language (or sentences) can present states of affairs of the world for the individual to contemplate. Language is parallel to musical notation in that one must learn the language itself in order to express and receive propositions. Our words can be simples (objects or actions or perceptible qualities) and complexes (categories and concepts). We compose sentences about objects, and these sentences contain (or allude to) available facts. These sentences present pictures of events, otherwise known as the picture theory. Propositions are statements of possibility. Assessment of truth comes later. Propositional meaning can be conditional on where such a proposition relates to other facts (sometime more elementary) within a state of affairs. This representation of language presents a scenario in which the function of language is to convey possible states of affairs (or facts about the world), which are assessed and woven together to form one’s world view and to become the logical framework for one’s judgements. Some sentences present facts of the world (e.g. The sun rose here at 5:45am) and others are generalisations about the world (e.g. The sun will always rise). Consequently, objects are configured into states of affairs which are expressed in propositions. A proposition’s sense is derived through the pictures of reality generated through it. Propositions (or pictures) are combined to generate images of the world. Near the end of the Tractatus, Wittgenstein comes to admit that certain propositions can only be understood through their application (or their presence in a form of life). They are not pictures, but rules that can only be understood in how they become manifest in how they give meaning to experience. These include religious, ethical, aesthetic and other conceptual propositions. These propositions do not give sense to the world. Instead, they seek to explain how to interpret experience. Therefore, propositions are "operated on" or interpreted in order to derive further propositions from elementary propositions. The interpretation is a frame of reference. Elementary propositions may establish facts; however, the human agent constructs such facts into ways of seeing (which may be seen to leap beyond grounded logic and to belief and to [technical] perspectives). Wittgenstein draws a distinction between the individual who construes experience, and the collective frames of references that reflect social ways of seeing, such as scientific, artist, or spiritual modes of thought. It is the latter interpretive features of the Tractatus that both threatens the clarity of the vast majority of the book and that also leads into what occupies Wittgenstein in the Blue & Brown Books and the Philosophical Investigations. Rather than consider language as a formal tool guided by structure and form, the Philosophical Investigations conceives language as rich and varied that arises in forms of life. At first, Wittgenstein retraces the Tractatus by showing how language is a tool for naming and arranging objects. However, he proposes that naming and stating propositions are only two language-games in a vast network of language uses. In his first example, Wittgenstein presents the child who is brought into language through ostensive teaching, or learning by pointing and experiencing the world with words. The child is guided by an adult and this is the first sign of human agency in which language is used to act upon the world. Words are not only associated by what they are but how they can be used. Their use makes the words distinctive and meaningful. We understand a word by the multiple descriptions which we ascribe to it, and by the circumstances in which it became meaningful and becomes meaningful. Since experience is vital to meaning, the novice and expert see language differently. The expert notices finer distinctions, greater options, the mobility of parts, and relevance of moves in language games. The meaning and interpretation of utterances (position and delivery) arise from one’s familiarity of the language game and of the language game's position within a way of living and thinking. Knowing the form of life attached to a language is essential for understanding. What must a participant already accept and/or know and/or be familiar with and/or expect in order to participate in the language game? The use/purpose of the human activity (language game) determines whether or not signs are used appropriately or meaningfully (taxonomies, rules, tabular advice) in training the mind to see in a particular way. Knowing then becomes a process of "seeing connections", "clarifying connections", and "arranging experience". Once a stage is reached, the learner is asked to expand the way of looking. Initially, the learner is aspect blind, since he or she cannot see the necessary patterns or connections. Through a process of initiation, the learner begins to see aspects, or at least notice aspects (with guidance). Mastery (or fluency) is achieved when someone has adopted a way of seeing (or interpreting), which is achieved through the learning process. The learning process reinforces patterns to interpret phenomenon and to make judgements. Presents ostensive teaching as a primitive language game. Demonstrates how words come to mean through experience (or through activity). Explores how individuals gain ways of seeing. Questions how one comes to be initiated into uses of language. Philosophy remains an activity of clarification, but unlike the Tractatus (which isolates clarification into existence and non-existence of possible arrangements), PI focuses on a variety of techniques to gain a clear view of phenomena such as language, knowledge, certainty, practice and the mind. Therefore, thought is grounded in forms of life. Human agents actively constructs reality. Language helps the agent construct the world from experience or to construct a world from thoughts and speculation. In this new view, the noticing of phenomenon is important. Naming is important to isolate and discuss phenomenon. Individuals enter the world where concepts and language games already exist and individuals are initiated into forms of life through experience, sometimes inadequately. It also depends on the individual, social and material conditions of the learning. (b) how one comes to process these experiences through habits of the mind and ways of thinking, which leave an indelible impact on one’s consciousness.